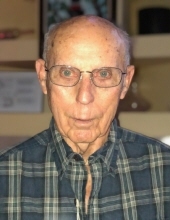 John Melvin Hargis, 86, of Hattiesburg, MS, passed away Saturday, March 16, 2019 at his home. Visitation will be Saturday, March 30, 2019 from 1 – 2:30 p.m. at Moore Funeral Home in Hattiesburg with graveside services following at 3 p.m. at Mineral Springs Baptist Church Cemetery. Mr. Hargis was of the Baptist faith. He retired from the United States Air Force in 1975 and from Scott Paper in 1995. He was preceded in death by his wife, Laquita Hargis and great granddaughter, Hailey Faye Samples. He is survived by three daughters, Angelia (John) Forder of Citra, FL, Deborah Rausch of Belleville, IL, and Sheila (Mike) Prangley of Cameron Park, CA; one sister, Carol Gordon of Fredericksburg, TX; one brother, Robert Hargis of Fort Worth, TX; nine grandchildren; 21 great grandchildren; and three great-great grandchildren. He will be missed by his family and many friends. To send flowers or a remembrance gift to the family of John Melvin Hargis, please visit our Tribute Store. "Email Address" would like to share the life celebration of John Melvin Hargis. Click on the "link" to go to share a favorite memory or leave a condolence message for the family.